Matrix Energetics® is a complete system of transformation that produces observable and verifiable changes which can be taught to anyone. 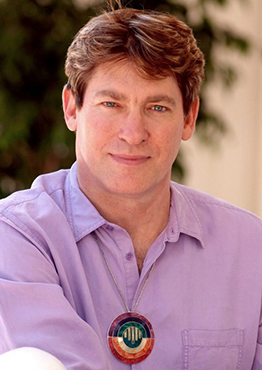 Matrix Energetics encompasses a new state of being, a new way of experiencing the world we live in, and a more expansive way of accessing new possibilities - a consciousness shift. 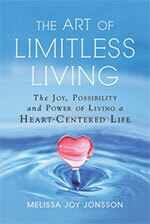 "The Art of Limitless Living" by bestselling author Melissa Joy Jonsson is now available for preorder. "M-Joy Practically Speaking: Matrix Energetics and Living Your Infinite Potential"
Take a brilliant journey into the nature of change and reality to discover the power you have within you to transform. Join inspiring transformational leader Melissa Joy for a playful exploration into universal consciousness and infinite potential available to everyone within the field of the heart. 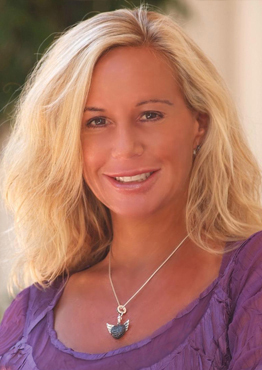 This journey into heart-centered awareness is complemented by the knowledge and wisdom Melissa Joy has acquired through teaching Matrix Energetics transformational seminars to thousands of students around the world. Discover how to drop into your heart, let go, notice what you notice, and notice what is different. In this intriguing book, Melissa Joy shares what she has learned, including specific and effective strategies for change, as you discover how to playfully transform yourself and everything around you. 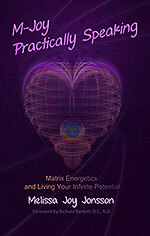 'M-Joy Practically Speaking: Matrix Energetics and Living Your Infinite Potential' Russian Translation Now Available! We are excited to announce that the Russian translation of Melissa Joy Jonsson's book 'M-Joy Practically Speaking: Matrix Energetics and Living Your Infinite Potential' is now available in hard back cover. Our experiential seminars are designed for all to play, learn and manifest amazing new possibilities. Seminars are open to students of any background - whether you are an experienced healing practitioner or have little or no medical or wellness background, you can easily learn to play with the morphic field of Matrix Energetics to help yourself and help others. Based on widely known scientific principles of Quantum Physics and lesser - known Russian Torsion Physics, this powerful system of transformation is easy to learn and even easier to experience, no scientific background required. Experience the science and art of transformation. Click here for information about our seminars. "The body will instantly respond. It will often flow into new yoga-like postures or gently collapse into the transformation. Within, one experiences release of pain or feels a new sense of light, freedom and possibility. Transformation is a power we co-create with. We use our sense of play and imagination."